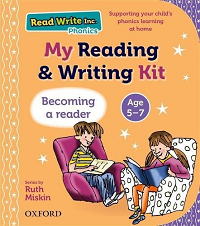 Read Write Inc., a literacy programme developed by Ruth Miskin, is taught in over 5000 schools in the United Kingdom. 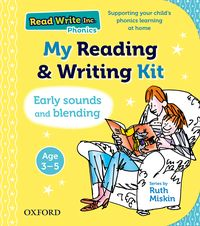 Our Read Write Inc. Phonics reading and writing kits have been developed for parents who want to support their child’s phonics learning at home. You can use them to systematically teach all of the common sounds in the English language, helping your child to recognise the sounds and then to ‘sound-blend’ them into words for reading. Children become fluent readers, confident speakers and willing writers. These flashcards offer a fun way to introduce the letters and sounds that make up words, using the ‘Speed Sounds’. Perfect for practising all 31 Speeds Sounds, accompanying illustrations will help to place the sounds in context, making them easier for your child to remember them. With parent notes offering guidance, these cards are the ideal way to support your child’s first steps in learning to read. Following on from the bestselling Read Write Inc. Phonics Flashcards, this second pack is a fun way to introduce Speed Sounds Set 2 and 3. 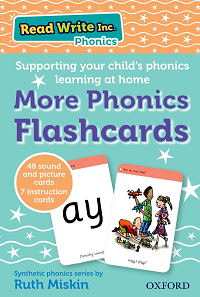 With humorous illustrations and rhymes, these cards are perfect for introducing the next steps in phonics. Accompanied by clear guidance for parents throughout, this is a great way to support school learning. 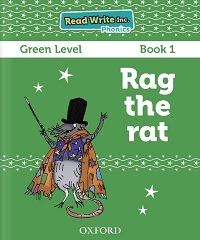 Visit our eBook library for free tablet-friendly Read Write Inc. Phonics eBooks. Please note you will need to login or register to use our eBook library. In this parent tutorial, we show you how to teach children sounds that are made up of two letters. Learn how to teach your child a Set 1 Sound, step by step. 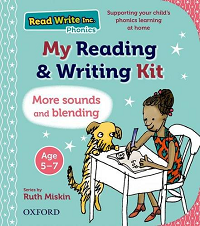 Learn Ruth Miskin's method of teaching children to blend sounds into words. Find out more about independent blending in this parent tutorial. 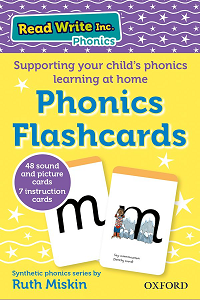 Find more tips on teaching your child to read from Ruth Miskin, along with an audio guide to the 44 phonics sounds, on our Phonics made easy page. To find out more about Ruth Miskin, visit the Ruth Miskin Training website.